For over 20 years, Big Picture Learning (BPL) has worked to reimagine the way students learn. Through BPL design elements, students are encouraged to create their own learning path, collaborating in small advisor-led learning communities and working with mentors at community-based internships. The yield is an inspired approach to learning that drives students towards achieving their own vision of success. 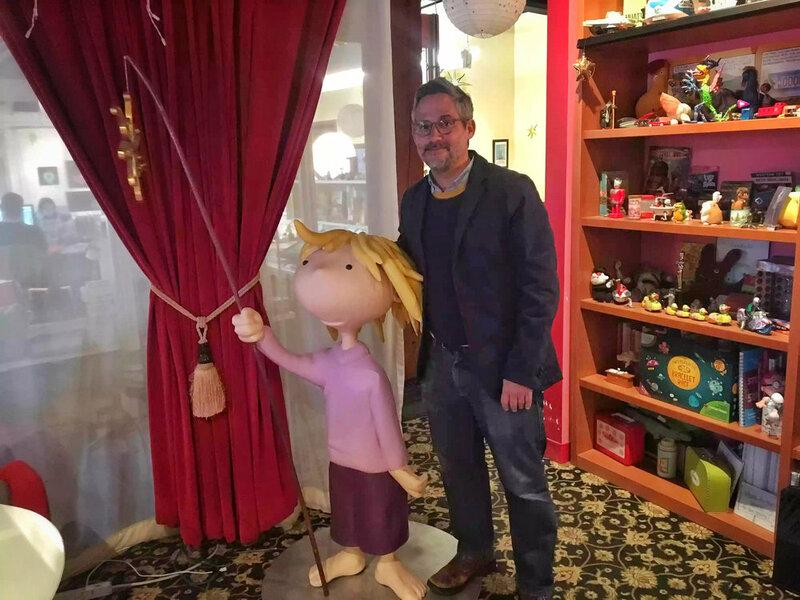 One of BPL’s biggest advocates, Chris embodies its mission of curiosity, vision, and drive. We caught up with him to learn more about his journey towards innovative education, his contagious love of learning, and his must-read list! Big Picture Learning was established in 1995 with the sole mission of putting students directly at the center of their own learning. Tell us more about how BPL seeks to accomplish this goal. It’s simpler than you might expect: ask students what they’re interested in learning about, then teach them that. Students aren’t used to being asked what they want to learn – or having their own personal interests and ambitions embraced by educators – so there’s a level of trust building that is necessary at the beginning. But once students realize that they are surrounded by peers, advisors, and a community that loves and supports them, their world opens up. They see that learning can happen anywhere, at any place, at any time. They find that they can more truly navigate their own path, not only through school but through life. There are over 65 Big Picture network schools in the United States and around the world. What is the Metropolitan Regional Career and Technical Center (“The Met”) and how is it unique? The Met was the first Big Picture Learning school, before there was a Big Picture Learning! Over 20 years ago, the state of Rhode Island tasked Elliot Washor and Dennis Littky with coming up with a bold new school design that, in its very existence, would require a reexamining of the education system. From that work, the Met was born. The Met is a campus of six high schools across the state of Rhode Island, though most of them are in a central location in Providence. Known as much for its open architecture as it is for its innovative approach to learning (for instance, students spend two days of each week not at school but at internships in the community) it’s hard to truly describe the Met in words! That’s why we welcome visitors to the Met several times a year to see the school for themselves. Readers of this blog are welcome to attend! How did BPL come to cross paths with FableVision Studios? We’ve been fans of Peter and Paul Reynolds’ for some time. I actually first saw Paul speak at a conference when I was working for Reading Is Fundamental and regularly read Peter’s books to my children during nighttime storytelling. But it was one of our founders, Elliot Washor, who struck up a friendship with Peter and Paul not too long ago. FableVision’s work speaks for itself, but for Big Picture Learning, relationships matter most. The FableVision team took the time to get to know us (even visited the Met and met with students and advisors!). When it was clear that FableVision’s team shared our values when it comes to creativity and education, the rest was essentially a no-brainer. How does BPL provide students with structure in such a highly personalized environment? There’s a common misconception that letting students direct their own learning leads away from structure and toward chaos. Student-centered learning can’t proceed without a path. It’s just that in our schools, students design that path with guidance from their advisors, their parents, and their peers. By creating and directing their own paths – via a personalized learning plan – students have ownership in the learning process, and are much more able to learn from failures and champion their own successes. There are boundaries, for sure, but they’re not the artificial kind like, say, a school bell or homeroom period. Tell us about how ImBlaze helps educators and administers enable the place-based learning from internships that BPL so believes in. Big Picture Learning knows the importance of getting students out into the community to learn from mentors and experts. During our two decades of existence, technology has advanced in such a way creating those connections is much easier. Imagine a time in, say, 1997, when BPL advisors had to track internship opportunities through post-it notes stuck to their computer screens. Ten years later they’d moved to excel spreadsheets. We now have ImBlaze, a mobile app created by Big Picture Learning, that helps students and advisors intuitively search for internships in their local communities. And, as with other initiatives, we have FableVision to thank for helping bring the story of ImBlaze to life through animation! BPL recently announced the new Harbor Freight Fellows Initiative (HFFI) in an effort to broaden our collective understanding of what it takes to properly invest in skilled trades education. What’s the genesis story of this new program? The genesis goes right back to student interests. The presumed track for many high school students post-gradation is that they’ll proceed right onto college, most of them in pursuit of a liberal arts or business degree. That’s a valued extension of learning, and was the path I myself followed. But it’s not necessarily the path all students long for. The focus of the Harbor Freight Fellows Initiative is to raise up the trades path as a lofty educational aspiration, one which is perfectly in-line with the interests and passions of many students, not just Big Picture students. We want to ensure that students who pursue trades-based paths following high school have the resources and relationships that will inspire them to continue following their passions. We’ve produced an animation with FableVision, Navigating Our Way, that eloquently explains this through the story of two lifelong friends, Sylvie and Seymour, who follow separate paths (college and the trades). Watch the video here. BPL hosts a Leadership Conference and the Big Bang Conference every year. What is special about these conferences? We design our conferences to mimic our educational practices. Attendees participate in our convenings as part of an advisory – a group that they return to multiple times throughout the conference to reframe and expand upon their learning. Further, a core component of our conferences is that attendees “leave to learn.” In our network schools, you’ll find that much of the learning happens outside of the walls of the classroom. To mirror this, an entire day of our conferences is spent in the community, learning from organizations within the host city. Of course, most important for us is that students are at the center of our conferences; not just in theory, but in practice. For us, it is essential that students themselves play a key role; not just as attendees, but as designers, presenters, and leaders. Over the last two years close to 100 students from across the Big Picture network have been present at Big Bang – our international conference on student-centered learning. If you could do it over and be a BPL student, how would you structure your education? I think less about what I would be like as a BPL student as I do about what it would be like to be a teacher in a BPL school. I have a teaching degree that I’ve never used because my student-teaching experience was uninspiring. As a result, I’ve followed other paths through life. But if I had known that schools like those in the Big Picture Learning network had existed, I suspect I would have remained in the teaching profession. I must say, I’m grateful that my path through life has still wound its way back toward progressive, inspiring, and imaginative schools. I regret that I don’t have the opportunity to work with students every day, but I am pleased that I’m part of a national conversation about what education can and should look like moving forward. It’s no secret that you’re a big fan of books and stories, can you share any reads that we should catch up on? 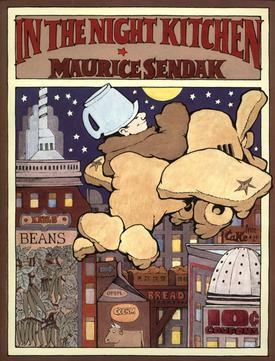 My all time favorite book is In the Night Kitchen by Maurice Sendak. Many people think of Where the Wild Things Are when they think of Sendak, but I remember being struck by the absurdity of In the Night Kitchen at an early age. It’s a book so important to me that I have a print commemorating it on my office wall! 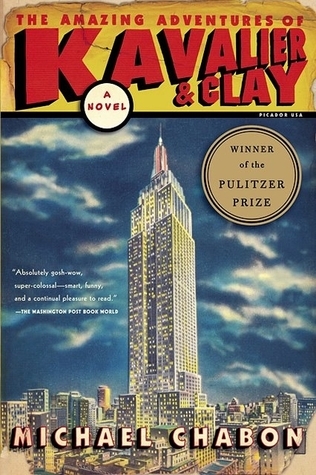 For fiction, the book I could never put down was The Amazing Adventures of Cavalier and Clay by Michael Chabon. I’m a sucker for American historical nonfiction and have been plodding my way through the biographies of each United States president. I’m currently up to Martin Van Buren (so naturally, I’m taking a break!). I love a good graphic novel. Check out Unflattening by Nick Sousanis for an academic deconstruction of graphic novels told, naturally, in graphic novel form! 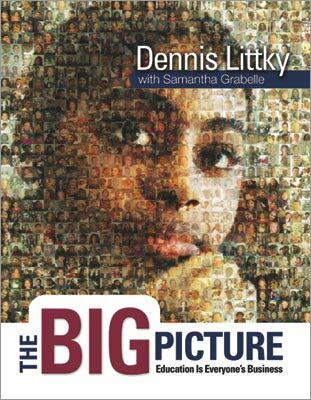 Finally, I’d be remiss if I didn’t strongly recommend The Big Picture and Leaving to Learn from my education idols and Big Picture Learning founders Dennis Littky and Elliot Washor!